I suspect that I am not the only Irish person who thinks that September is a summer month, not to mind August, which if I cast my mind back long enough is surely a month for the beach. And why is that? I think it has a lot to do with the school holidays. At primary school summer holidays were July & August, in secondary June, July & August and in college June through September, these were our summer holidays and Autumn surely didn’t sniff about until the first leaves began to turn in early October. It’s taken me a lot of years to realise that A)I’m not at school anymore and B) I should be forgoing my teeshirts and slip on shoes a lot earlier than October. I do predict however that when September rolls around next year that there I’ll be in the teeshirt, bracing against the rain and waiting for the Indian Summer yet again. Eternally Irish Optimistic Pessimist. But as for Autumn – Ode to Autumn – she doesn’t disappoint and I write today under a crisp blue sky with the ground below sprinkled with leaves of burnt umber, sienna and all sorts of other arty palette worthy hues. Once adjusted to long sleeves and winter boots I begin to long for the nights to draw in even more, hailing evenings of cosy fires and squishy couches. Then there’s the flutter of excitement as you get the odd sighting of a glistening bauble or the hint of a cinnamon candle somewhere as Christmas is surely beginning to be whispered. These goodies that I am sharing with you today are an embodiment of Christmas, they are wholesome, delicious, comforting and indulgent all at the same time. 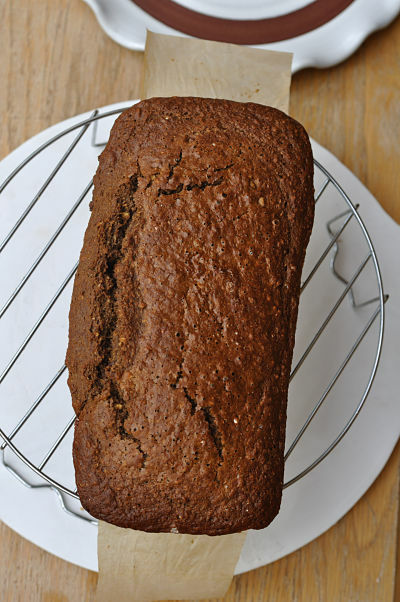 First up the Inchydoney Walnut Bread. Now if you’ve been lucky enough to stay at Inchydoney Island Lodge & Spa you will be aware of the welcoming fire in the reception and the wonderful staff who know the secrets of a happy guest. One of these is to send them home again with homemade Inchydoney Walnut Bread which you can purchase on your departure. 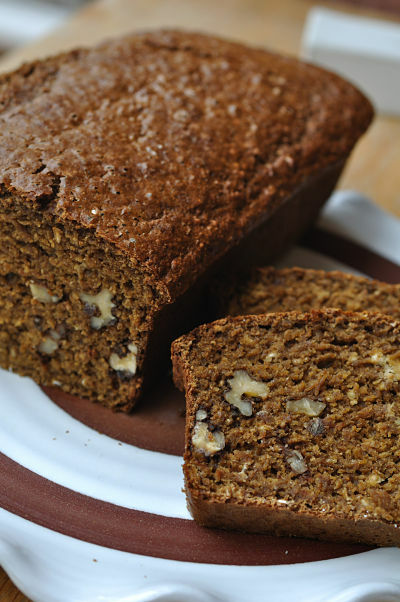 Of all the amazing food raved about it is one of the things that really stick out because it is not the type of bread that you are going to pick up in your local supermarket or even bakery. In fact it’s more of a cake than a bread and when I inserted the wet, sloppy mix into the oven it was with a wing and a prayer of ‘that’s way too wet, please Lord let it work.’ And Hallelujah it does! 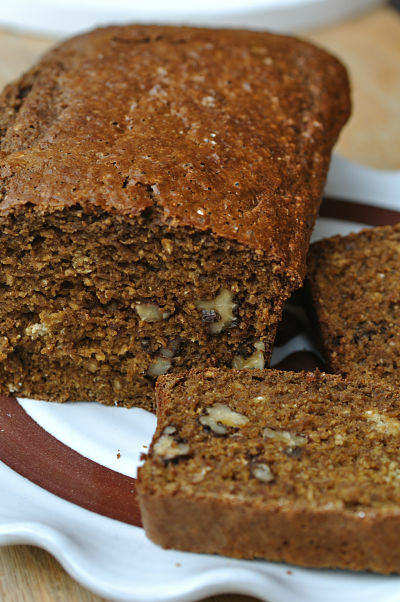 Follow this link for the recipe that has been very kindly shared : Incyhdoney’s Famous Walnut Bread. 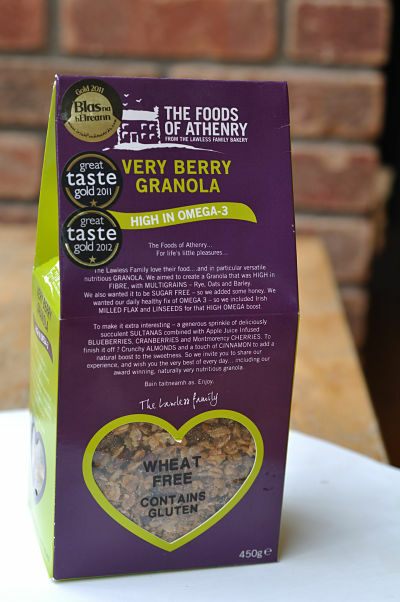 Next up is the ‘Very Berry Granola’ sent to me by ‘The Foods of Athenry‘ and the little song that I silently sing when I’m eating it “It’s beginning to taste a lot like Christmas in every single bite…” well, because it is. With ingredients that include apple juice infused Montmorency Cherries, Cranberries & Blueberries, rye, oats, barley, honey, seeds, flaked almonds and cinnamon they do sing of Christmas baking and I think they’d make the most amazing flapjack bar too. 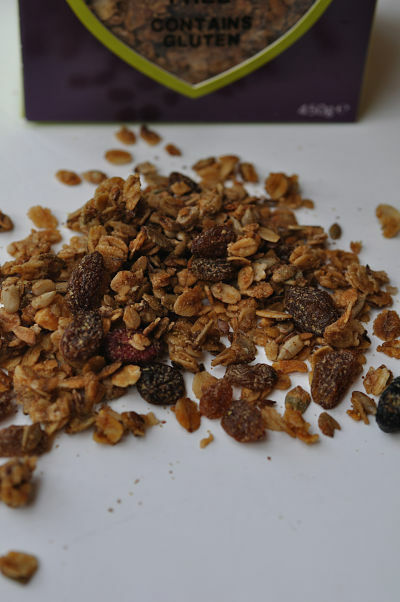 If you’d like to try your hand at making your own granola I experimented with this recipe a little while back but I have to say the Very Berry Granola is a more than adequate substitute. 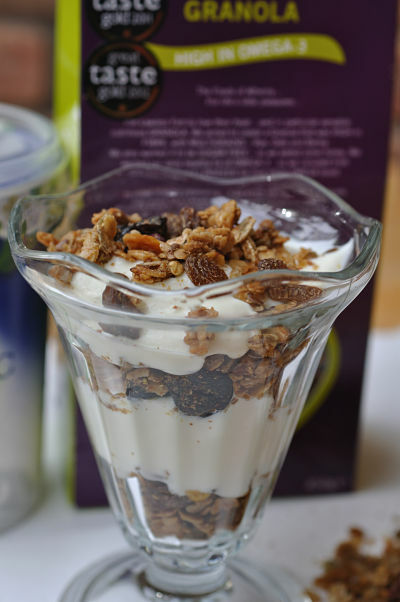 I like to serve it layered with natural yoghurt as there’s plenty of sweetness to balance. 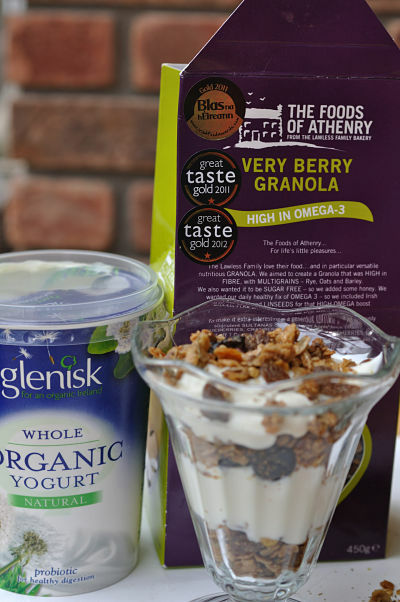 I have to give Glenisk a little mention here too (as you can see I’ve paired it with the Very Berry Granola above) and say thank you for including me in their Blogalicious! 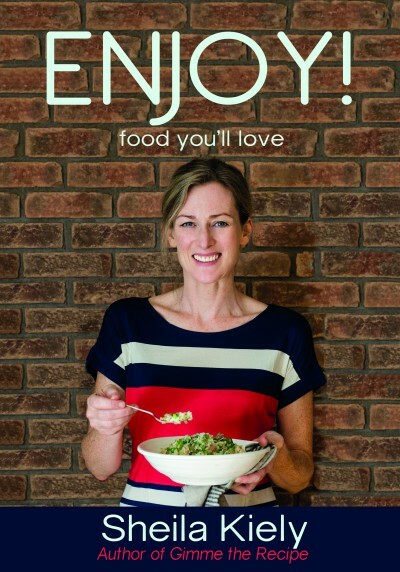 Favourite Foodie Blogs post. 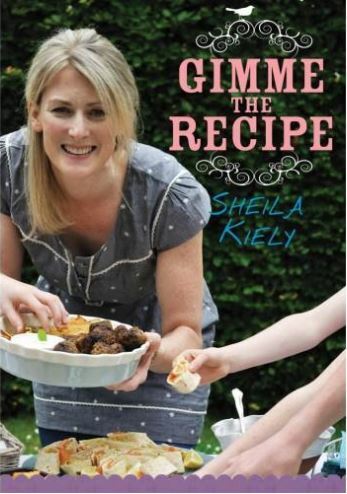 On a final Christmassy footnote you could put a free copy of my book in someone’s stocking if you enter this competition being run by Avonmore on their CookwithAvonmore website. Best of Luck!